Leah Janae is a fairly popular beauty vlogger on youtube with a fun, enjoyable, easy-to-watch style who in her videos covers the usual beauty vlogger fare of tutorials, reviews, unboxings, collection videos, hauls, an occasional sprinkling of lifestyle vids and in-depth looks at various subscription boxes. She’s passionate about youtube and has a healthy, loyal subscriber base of over 22,000 with 1.6 million views across all her videos. Her videos are very conversational in tone with no frills; in typical vlog style, Leah simply sits down and speaks directly to the camera, occasionally picking up and showing us the things she’s talking about. But by no means does this make her videos boring! In fact, watching her videos feels rather like sitting down and having a chat with Leah herself, as if you were there in the room with her, excitedly swapping recommendations for skin care and makeup products. In her video “Luxury Skincare Subscription Unboxing: Orogold Box,” Leah discusses Orogold’s very own subscription box. She’s very upfront and honest in a helpful fashion about the brand’s status as a luxury company with elegant, luxurious products, and explains the way our subscription box works and the price point, going on to elaborate on how much money is actually saved through subscribing to the box, rather than purchasing full-size products directly, and how useful the box is as a way to try out Orogold and find out if we’re a good fit for you. She shows off the packaging and discusses her feelings on each individual product in the box. 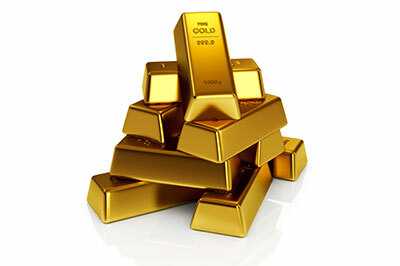 She goes into exquisite detail on the luxurious feel and smell of it all, reads product descriptions, and enthuses over the Orogold 24K Milk Cleanser in particular. She finds the Body Cream very pleasant feeling, and notes how cute the box itself looks, as well as the 24K Deep Peeling. 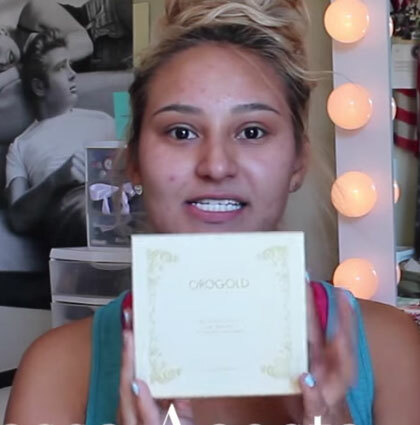 She closes her video with a recap and recommends people try the box if they enjoy luxury skin care, and seems quite excited to go have some fun with the products in the box herself.